ZenVPN is a VPN service launched by a company called RubyVector Ltd, with corporate headquarters in Cyprus. Right off the bat, the official RubyVector website just looks overly basic and borderline unfinished, which gives off a weird vibe considering we’re talking about a company that supposedly specializes in web, mobile, and game development. ZenVPN (launched in 2015) is its only app/software solution so far. The company itself was founded in 2014. 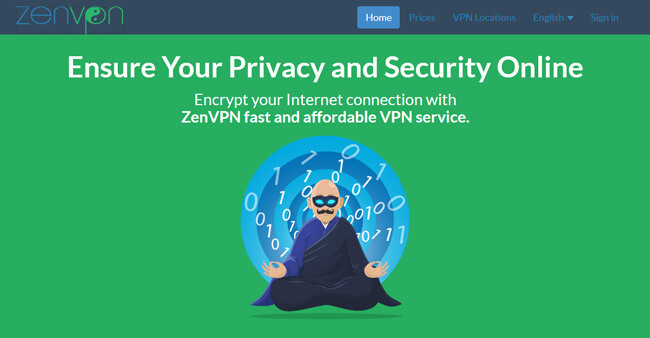 If you’re interested in gauging the real reach of this service and learning more about the features it provides, keep reading our honest ZenVPN review and find out what this provider can do for your online privacy and security. ZenVPN features a pretty straightforward and simple user interface, which makes it very easy to use. In that regard, it’s pretty good for VPN beginners and individuals who don’t want to deal with too many buttons or navigate confusing menus. The client itself is quite minimalistic but features everything you need to use this software solution effectively. On the very bottom, you’ll see information about your remaining traffic (in case you opt for a limited subscription) and current connection. The top is reserved for the connect button, server menu, and settings. The settings menu allows you to tinker with your account, turn notifications on or off, set an automatic VPN connection, and allow logging for error detection (definitely not recommended). To put it frankly, we did not have a good time testing this VPN. We understand that the software was designed for simplicity and ease of use, but the automatic options it provides are not the best around. Additionally, the client just froze mere moments after installation, so we had to kill it with the Task Manager and restart. ZenVPN is advertised as “blazing fast,” but from our experience, this is simply not the case. In other words, our connection speed just kept on plummeting, no matter what server we connected to. As far as we can tell, ZenVPN was definitely not built for speed. As such, it would be a very poor security solution for data-heavy tasks like HD streaming or online gaming. During our tests, we also noticed significant DNS and IPv6 leaks, which is something the company definitely needs to deal with ASAP. 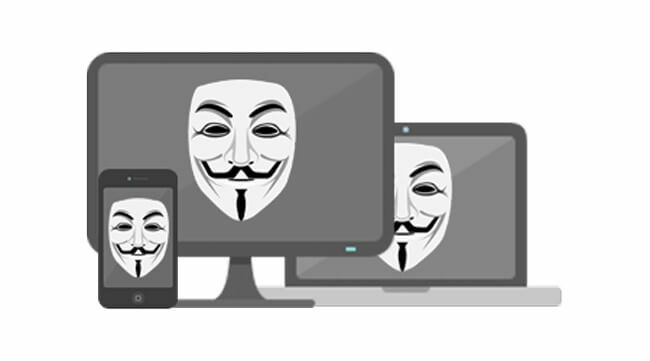 ZenVPN’s official website offers downloads for Windows, Mac, iOS, and Android. It also provides users with an OpenVPN configuration file usable pretty much anywhere. ZenVPN is not too big on features. The company currently offers 33 server locations around the world, which is pretty low considering the service is almost 4 years old. Unlimited server switching is allowed, on the other hand. Its “zero configuration” feature is the exact thing we were complaining about just a second ago. It’s implemented to allow beginners to simply install the kit and get an instant connection without having to configure anything. However, it doesn’t exactly work as intended. Namely, it pushes subpar options, including but not limited to non-optimal server locations. The company does allow torrenting without any legal restrictions concerning copyrighted material. Its P2P-friendly policy aside, the low speeds definitely take away a lot from this feature. ZenVPN offers OpenVPN and L2TP/IPsec connection protocols, which is more than satisfactory since OpenVPN is currently the safest solution out there. The official website doesn’t say anything about encryption, so we assume the company scrambles your traffic via AES-256 cipher since it’s an integral part of the OpenVPN protocol. The site also doesn’t mention a killswitch or similar features, which means you’ll be left vulnerable and open to online attacks if your VPN gets incapacitated for whatever reason. As you can see, ZenVPN is a pretty bare-bones service when it comes to privacy and security. Lastly, we’re not sure what to make of the company’s location. Cyprus is a part of the EU, but the north part is effectively controlled by Turkey (known as the “occupied Cyprus”). This creates a perplexing situation as to which laws apply where. You can contact the ZenVPN support team through the provided contact form on the official website. There is no live chat feature and the company also doesn’t state the working hours of its support service. Note that the plans renew automatically, so you’ll have to cancel your account if you choose to end your subscription. The company also offers an unspecified free trial and a full 30-day money-back guarantee. There’s a free plan as well (250mb per day). The daily traffic limit will continue to grow as the company gets more paying customers. The accepted payment methods include VISA, MasterCard, Maestro, and American Express. As we wrap up this ZenVPN review, here’s a quick overview of the features that wowed us and the aspects of the service that could use some improvement. Our ratings are the result of an objective and independent evaluation of ZenVPN , generating the final rating that reflects the overall quality of the company. Ratings may change as the service changes. ZenVPN user rating based on 2 user reviews. 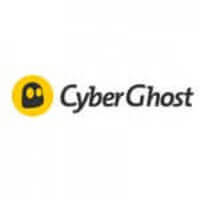 We found 1 verified ZenVPN discount for April, 2019. Discover the full range of possibilities ZenVPN offers and become an advanced user in no time with our beginner-friendly ZenVPN guides. Whether you are interested in secure torrenting, unblocking Netflix, setting up ZenVPN on all your devices or you simply want to learn more about ZenVPN , you can find verified information and clear instructions in our ZenVPN guides below.